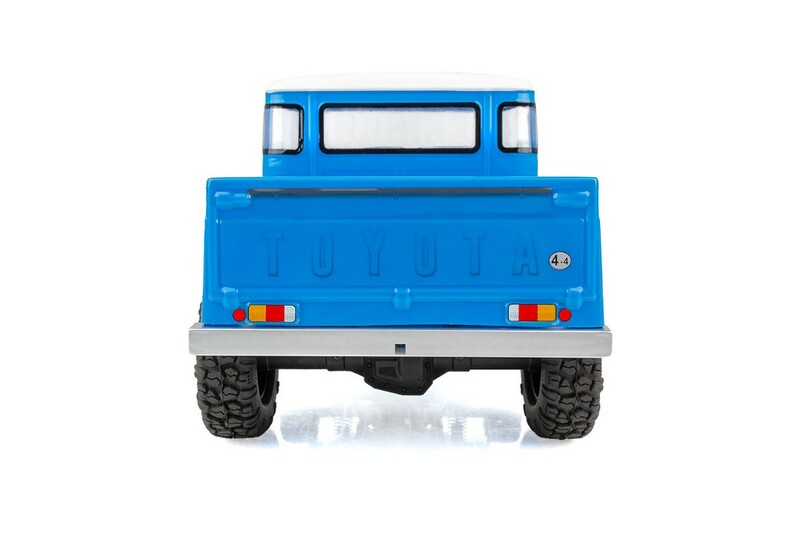 The CR12 Trail Series Scale 4×4 truck may be small in size, but it’s packed full of features. This rig comes Ready-To-Run with Reedy Power electronics and meets S.O.R.R.C.A. class 1 and 2 rules right out of the box. No need to prep or build your rig; just charge it and you’re ready to hit the trails! 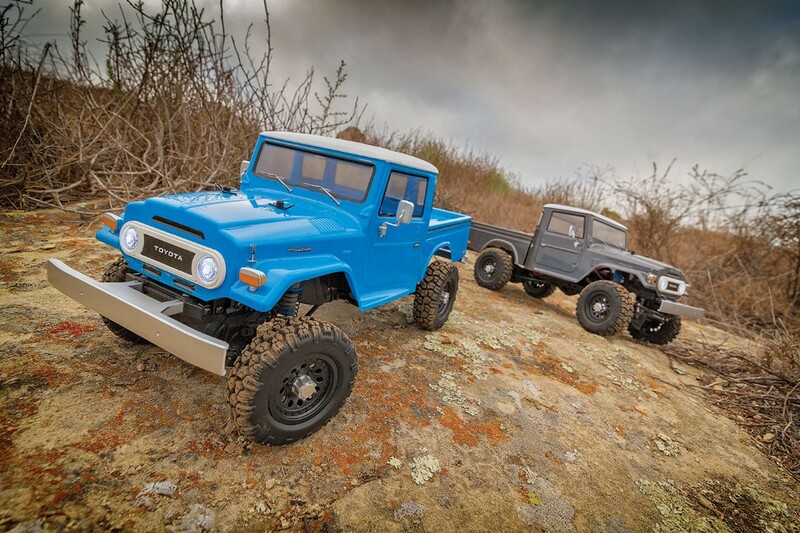 Designed not only for scale looks with realistic wheels, tires and 1977 Toyota FJ45 body, the CR12 is built for performance as well. 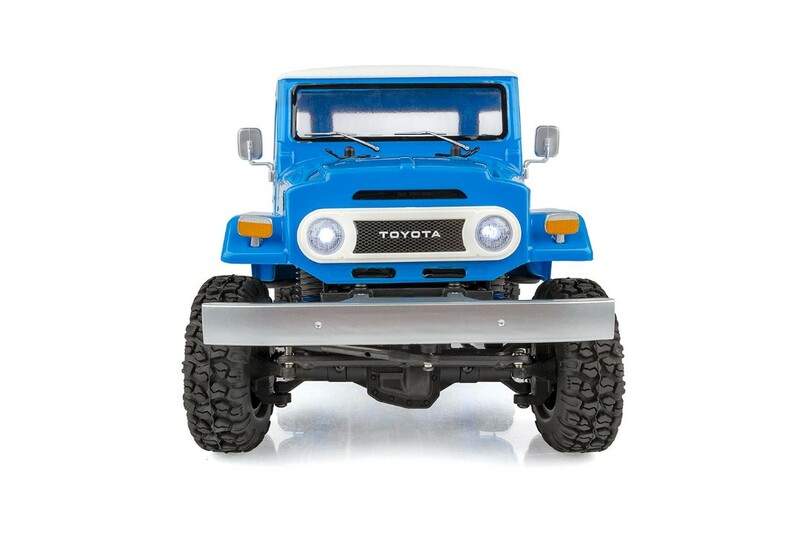 The steel ladder frame chassis provides the perfect backbone for this rugged little rig. The 4-link suspension, threaded shocks, and soft rubber tires give the grip and performance needed to climb over the roughest terrain. Transferring power to the rocks is a compact 3-gear transmission, plastic low-friction slider-type drive shafts, front steel CVA axles, and metal shield ball bearings throughout. 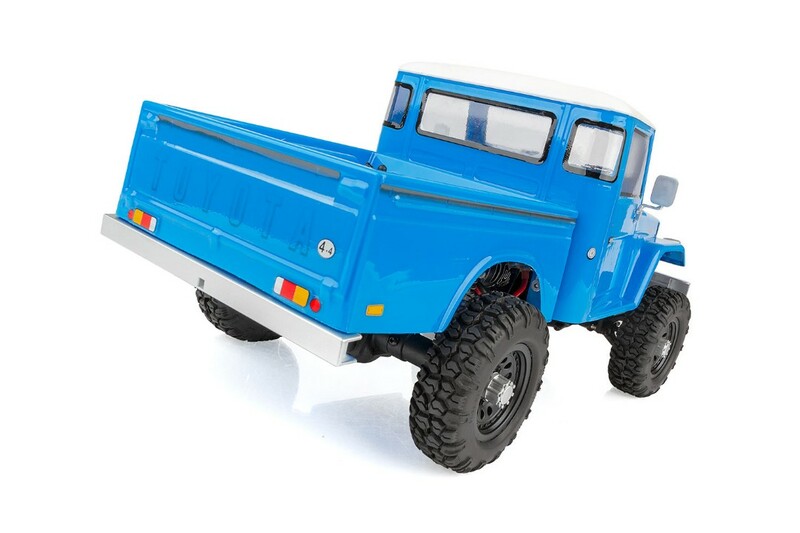 Get ready to hit the trails with the CR12 scale 4×4 truck! 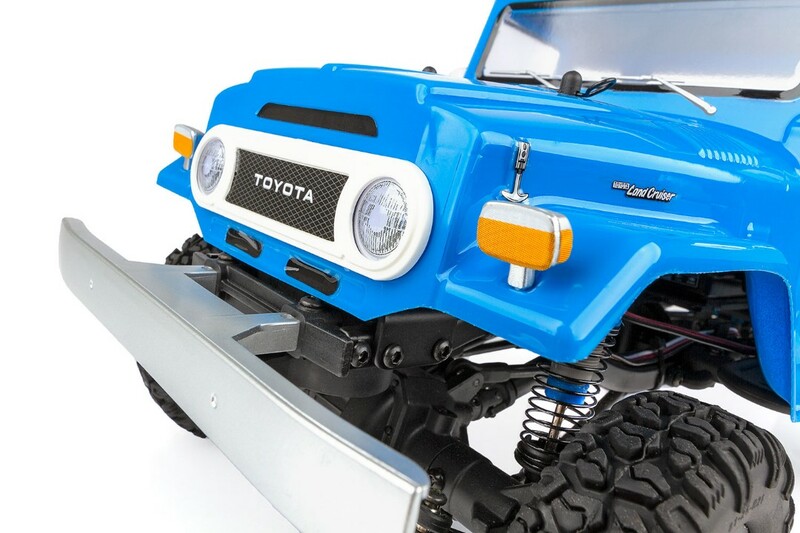 Official 1977 Toyota FJ45 body. Two body colors to choose from.